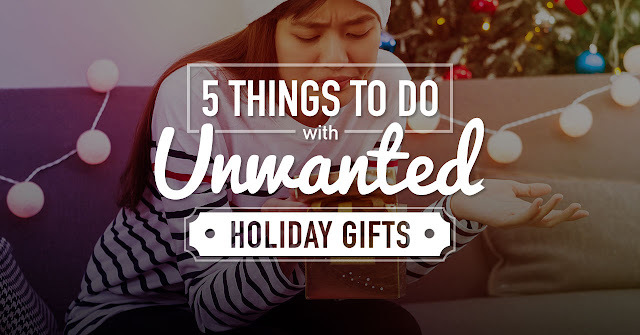 It’s happened to everyone at least once: You eagerly open a Christmas present only to be silently disappointed because the item is something you cannot use, is too small or too big for you, or you simply do not like what was given to you as a gift. Proper etiquette dictates you say thanks and keep the gift but with the limited living space we all have, we often have no choice but to find ways on how to put unwanted gifts to good use. "Christmas is the most festive holiday celebration in the Philippines. Even before December 25th, Filipinos had already given gifts to their friends and gone to numerous parties, where prizes are raffled off," said Rambo Joinani, head of Goods & Services at OLX, the leading online classifieds platform in the Philippines. "Some of these presents and raffle items don't end up being useful to their recipients, though. On OLX alone, the number of consumer-to-consumer listings in certain categories grew by as much as 24% from October 2018 to the first few weeks of December 2018. Brand-new TVs, tablets and smartphones are listed on our platform, their item descriptions indicating that they were either a gift or a raffle prize from a party." Sell online. If you find yourself with a present that just isn’t the right fit, you don’t have to be stuck with it forever. Consider making money out of it by posting it on OLX, the country’s leading classifieds platform, which enables you to have a fast and easy selling experience. Donate. Donating a gift is a great way to find the present a new home–giving gifts or even party raffle prizes and tokens to non-profit organizations or charity is a great way to give back to those in need. Regift. This is one of the best ways to spread joy. You can pass your gift on to someone who will appreciate it so the item won’t go to waste. Someone you know might want it. Be careful, though: Avoid an awkward situation by giving the present to someone who is not acquainted with the original sender. Do-It-Yourself. This is the best option for artsy and crafty people. Transforming unwanted gifts is a great way to keep things out of the dump while it gives your home a little décor boost. These little projects allow you to completely repurpose items into something useful like a gift mug transformed into a pen holder or flower pot, a handkerchief as bag design or accessory, or a picture frame turned light switch design cover.